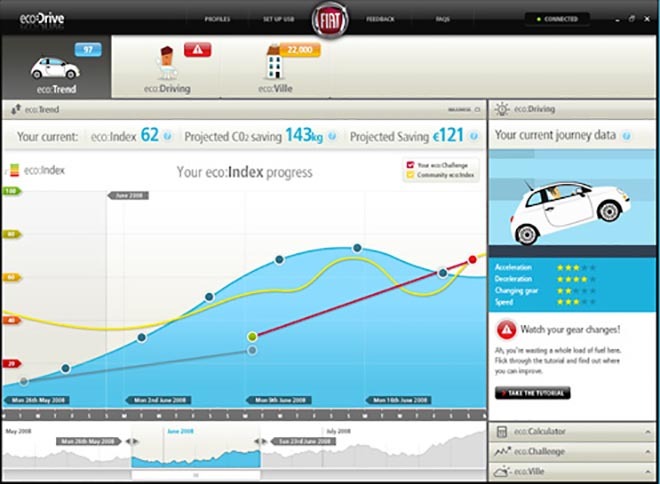 AKQA’s eco:Drive campaign for Fiat was recognized as Best of Show in the One Show Interactive Awards held in New York, May 8. 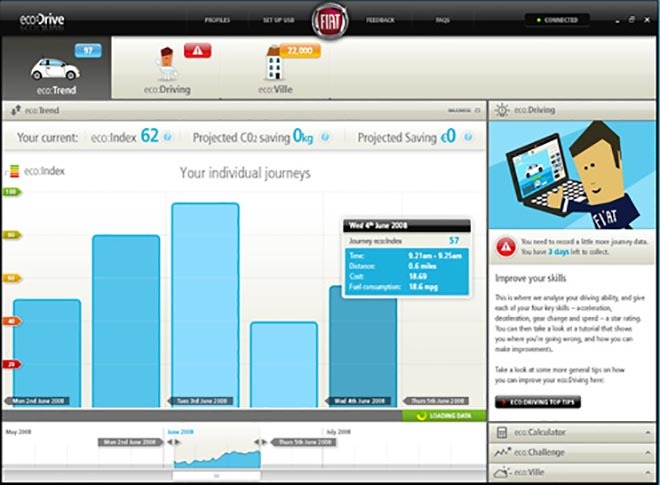 The Fiat Eco Drive system uses a computer application and an in-car USB port to mine driving data and calculate driving efficiency to recommend ways a driver can reduce fuel costs and carbon emissions. 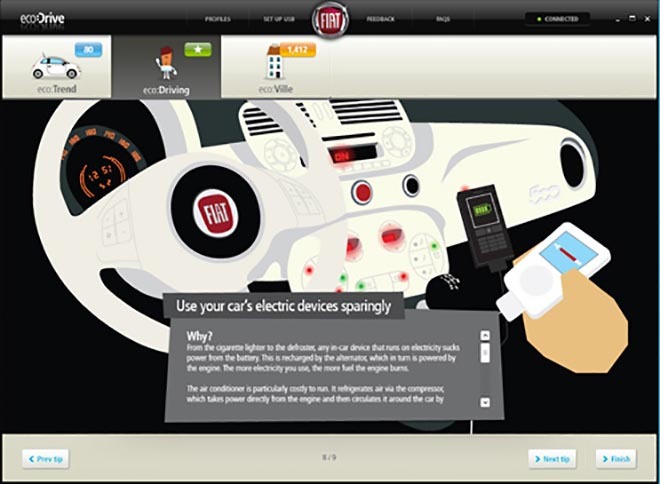 Drivers download and install the Eco Drive Adobe AIR application on their computers, sync any USB stick with the app, and then plug that USB drive into their Fiat’s Blue & Me port, technology the automaker developed in collaboration with Microsoft. 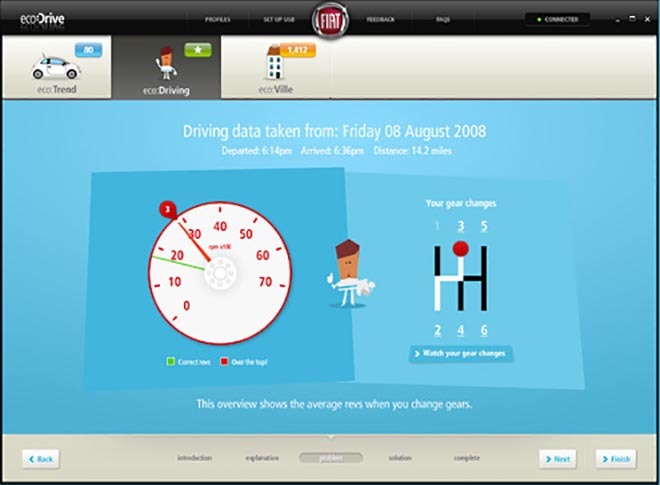 When the USB is plugged back into the computer, the app uploads the data, calculates the driver’s efficiency index from acceleration, deceleration, gear shifting and speed information and then recommends ways the driver can modify habits to use less fuel. 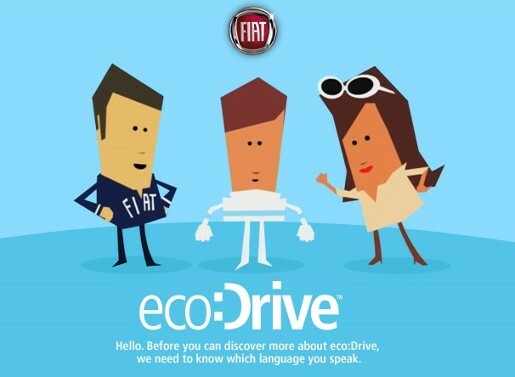 See the eco:Drive application online at Fiat, with behind-the-scenes work at AKQA. 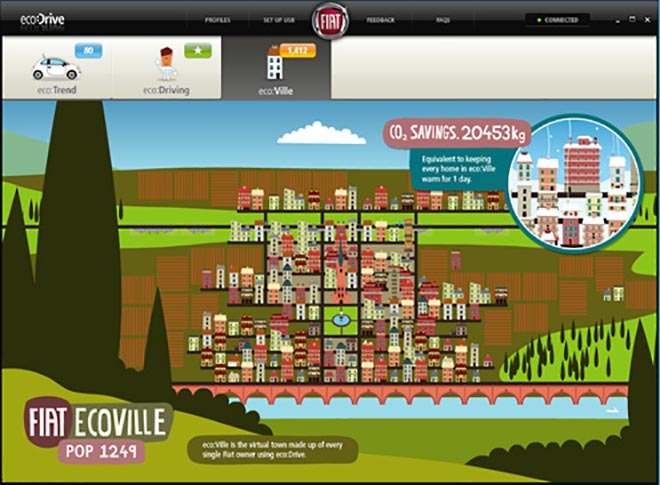 The eco:Drive campaign was developed at AKQA, London, by chief creative officer James Hilton, group creative director Nick Turner, associate creative director Chris Williams, senior designer Richard Baxter, creative development team Rick Williams, Harald Krefting and James Hay, technical architects Neville Kuyt and Adam Creeger.